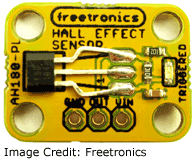 The following info is based on using the Freetronics Hall Effect Magnet and Proximity Sensor. 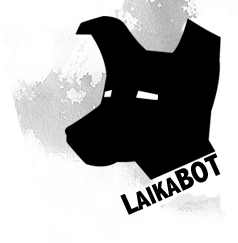 as per the Robot 1 - a wheel moving. All of the parts on this module are of course available as separate items, but for the $10 it cost me, it was money well spent from both a convenience and time to implement perspective. I'm working on the video for this one. Sign up to the alerts if you want to know when I put this up. Below defines how to hook up the Hall Effect Module and LED to work with the code in the above tab. 1. Hook the Ground and Vin pins up to the appropriately labelled contacts. Ensure you hook the VIN contact in to the 5V pin and not the VIN pin on the Arduino. 2. Connect the 'OUT' contact to an available PIN (pin 8 in this case). This will notify us to turn the light on when a magnet is in the vicinity of the HE Sensor. There is also an onboard green LED that lights up for the same indication. 5. See the Freetronics website for more information on this module. It has been set up to send back to the Serial Monitor an On/Off message to identify if there is a magnet in the vicinity of the sensor. I have also added an LED which turns on and off as a magnet is detected. // Set up the constant variable to read in the ping. 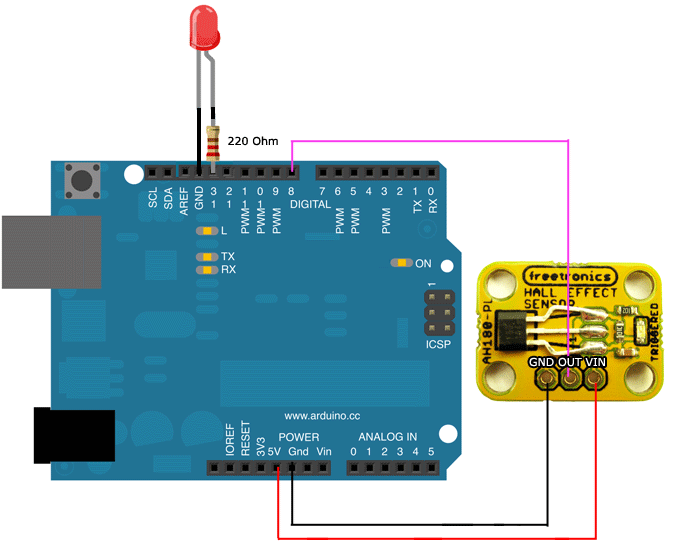 I have set this one to Digital Pin 8 on the Arduino. // Store these values to convert the pulse in to distance. // Used to read in the pulse that is being sent by the MaxSonar device. // Pulse Width representation with a scale factor of 147 uS per Inch. // send the results back to the console on the pc to review.